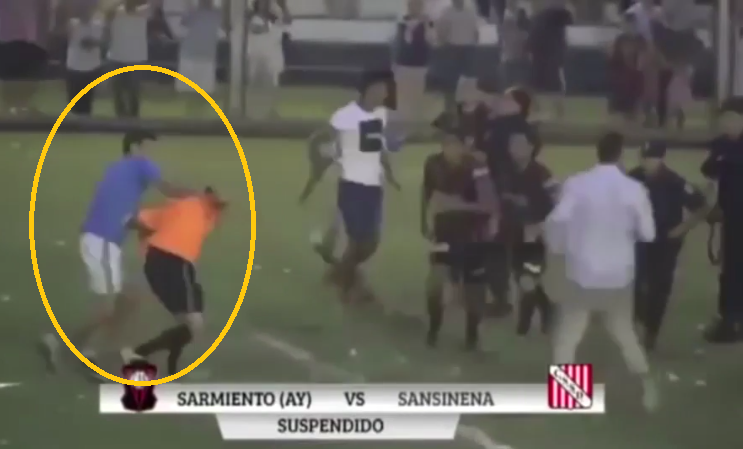 Raging football hooligans beat a referee within an inch of his life after he red-carded several players during a match in Argentina. The mob was held back by police as they hurled insults from the stands before they broke free and poured onto the pitch. Father-of-three Claudio Elichiri fled after being punched in the face and chased by the hooligans as a handful of officers did what little they could to protect him. 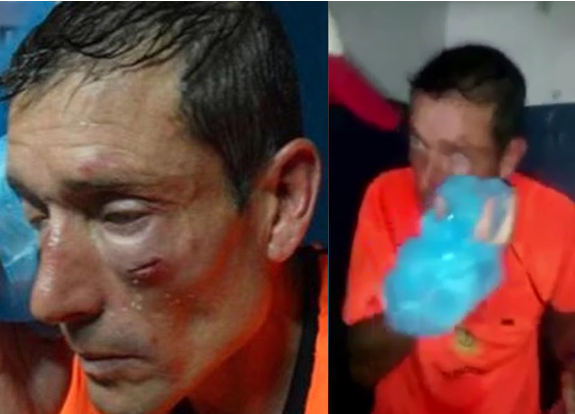 The Argentinian official said he couldn’t lift his lips from the beating he had received as footage emerged of the moment he was attacked and forced to run for safety. 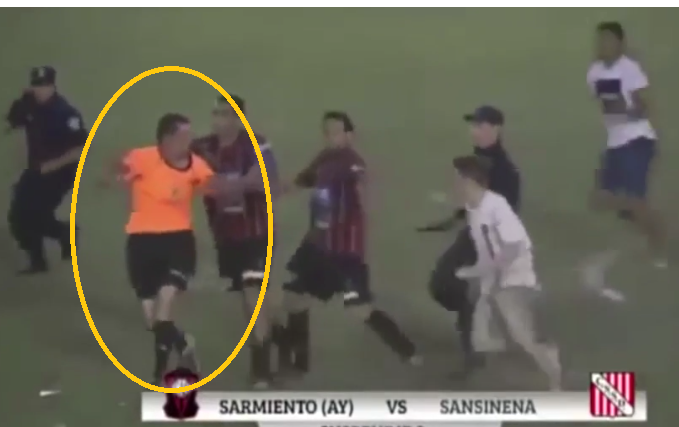 The violence erupted during a fourth-division match between Sarmiento and Sansinena, who come from different cities in the province of Buenos Aires. Players from home side Sarmiento surrounded the ref after he failed to award them a penalty and their rivals scored a goal on the break moments later.After he handed out several red cards over their angry protests and ended up suspending the match because of the number of players left on the field, angry fans invaded the pitch to let their fists and feet do the talking. 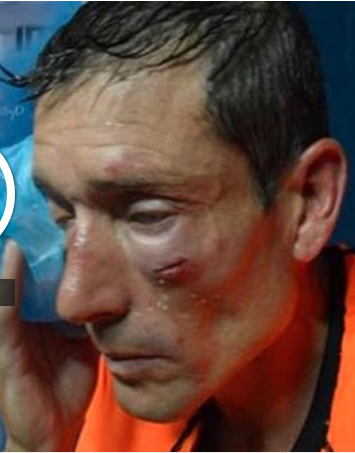 A referee in Mexico died last month after being headbutted by a player he had red-carded.